Velostreet.com bicycle shop on the Internet, it is possibility to buy a bicycle or its parts without leaving home. 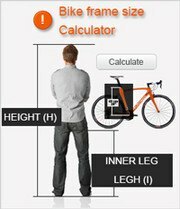 Because to buy the bike is not easy without fitting, we have created the bicycle size calculator. It is also more convenient for finding the bicycle parts, we have created the Quick Menu button on the right side of the browser. For those who want to learn how to take care of your bike maintenance and repair we created lessons on Youtube. All the products on our website are selected by our expert cyclists and offer both cost-effective as professional products. Cannot find the required product in our catalog, feel free to send us an inquiry and our consultants will provide you with a proposal. Vasare Ltd. for 20 years carries bicycles and bicycle parts and accessories trade in Lithuania and Europe. Long and responsible cooperation with manufacturers resulted ensure extremely fast and high-quality application of the guarantee obligations. Vasare Ltd. with exclusive rights to Lithuania represents: FUJI - bicycles and electric bicycles, DRAG bicycles, WINORA bicycles and electric bicycles, HAIBIKE bicycles and electric bicycles, STAIGER - prestigious German bikes, SE RACING -BMX, Fix Fat type bikes, LAS and CRATONI - bicycle helmets and goggles, Diadora - cycling shoes, boots, Kenda - bicycle tires and tubes, WTB - bicycle tires and saddles (seats), Hamax - child seats and bicycles trailers, VDO - bicycle computers (speedometers), Muc -Off - the bicycle and the cyclist care products, Kryptonite- bicycle locks, EVOC - cycling backpacks and bags for bicycles, Tacx - bicycle trainers, simulators and accessories for bicycles, CNSpoke - bicycle wheel spokes, Novatec - bicycle wheel hub, XLC - bicycle accessories and accessories, Oval - bicycle wheels and accessories, M-Wave, Mighty, Ventura - bicycle parts and accessories, XENOFIT - special purpose foods and food supplements for cyclists, Funkier - cycling clothes. We also sell famous brands products such as Shimano, Sram, Rockshox, Avid, Campagnolo, Schwalbe, Continental, Hutchinson, Vittoria, Beto, SKS, Basil, Brooks, Dare2b, DT Swiss, Haberland, Hebie, Infini, Kindshock, Miche, OnGuard, Pletscher, Reelight, SRSuntour, Stronglight, Syncro, Tektro, Thomson, Thule, TRELOCK, Truvativ, Xpedo, zipp.